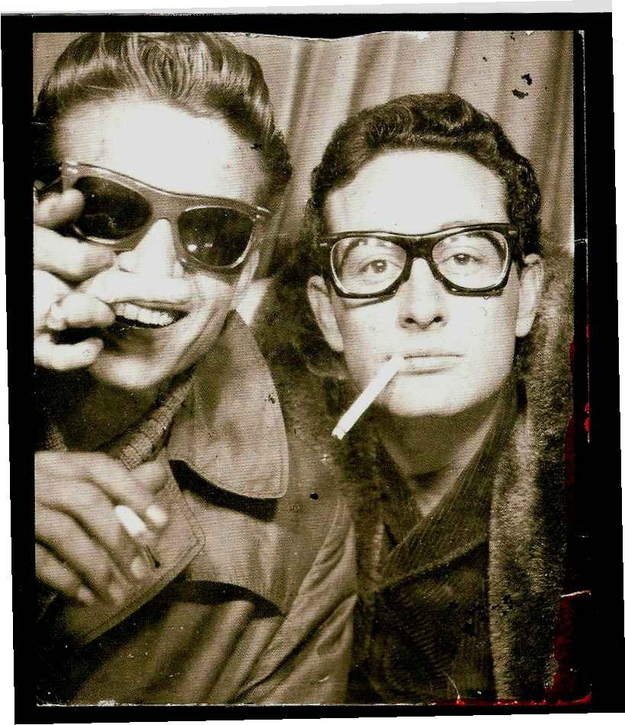 Two Texans, Buddy Holly and Waylon Jennings, met in a restaurant in Lubbock when they were teenagers. Holly took the younger Jennings under his wing: He played guitar on Jenning's first recording session in 1958. That same year, they collaborated on the song, "You're the One." And, in late January 1959, Holly began a three-week tour across the Midwest -- dubbed the "Winter Dance Party" -- and had Jennings play bass in his band. Before they left, the two posed for a picture in a photo booth at Grand Central Station in New York City. The "Winter Dance Party" would end in tragedy when Holly climbed aboard a charter plane that crashed near Clear Lake, Iowa on February 3, 1959. Jennings got bumped from the flight, getting a chance to live beyond the Day the Music Died. My guess is that the photo was taken in Grand Central Terminal (not the subway station below the terminal). Someone id flipping an excellent “southern” bird there on the left…. I love this kind of history. i love this kind of history entertainment.